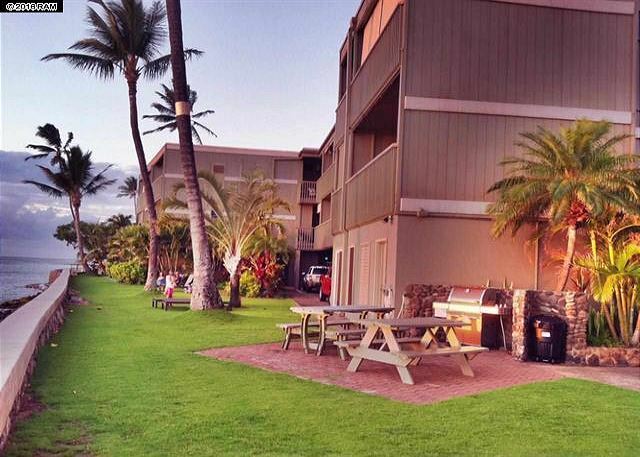 If you are seeking a piece of OLD HAWAII -- away from crowded hotels and resorts, Pohailani Maui 152 is the place for you! There is a sense of peace and privacy here that is not present at large resorts. Our elegantly remodeled 2 bedroom, 1 bathroom condo has all of the amenities of home including modern furnishings, granite countertops, pendant lights, stainless steel appliances, a beautiful tiled shower, designer sink, and a stack washer/dryer in the unit. We are perfectly located between the world class resorts of Kaanapali & Kapalua and we are situated adjacent to Kahana's fine restaurants, banks and shops. Pohailani is also only a 10 minute drive to historic downtown Lahaina which is famous for it's restaurants, harbor activities and shopping! Pohailani 152 overlooks a spacious and lush tropical green setting on 9 acres of land. The resort features two swimming pools, a lounge area by the ocean, BBQ grills, a tennis court, and party room. It is the perfect place for couples, friends or families looking to unwind and let loose! Watch amazing sunsets and see whales breach (from December through April). The property provides easy access to the ocean where you can swim, snorkel and surf to your hearts content! Come enjoy the serenity of OLD HAWAII and experience the spirit of ALOHA at Pohailani 152! 5/5 stars Review by James S.
4/5 stars Review by Carl C.
We spent 25 nights at the condo. Initial impression was a bit disappointing as we thought we would be able to see & hear the ocean. 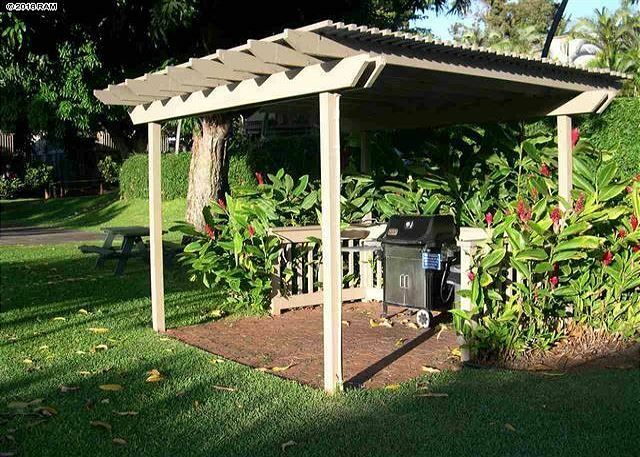 The lanai and backyard were nice and the grill & pool easily accessible. It was nice to have our own washer & dryer. It soon felt like home. There were only 2 stools at the breakfast bar & we could have used 4. The TV channel selection was quirky, instructions would have been helpful and we weren't able to get any channels on the TV in the bedroom. With that said, we enjoyed our stay at the condo & would consider returning there. 5/5 stars Review by RA - yvonne d.
Beautiful house, comfortable and enough space. Great beds, lovely nanai. Great and well equipt kitchen, nice and widely bathroom. We had a very pleasant stay over here. This is the perfect West Maui rental for guests with children. My husband and I stayed with our very active 18 month old. The unit is clean, laundry is a plus, and access to a big green lawn was a big bonus. 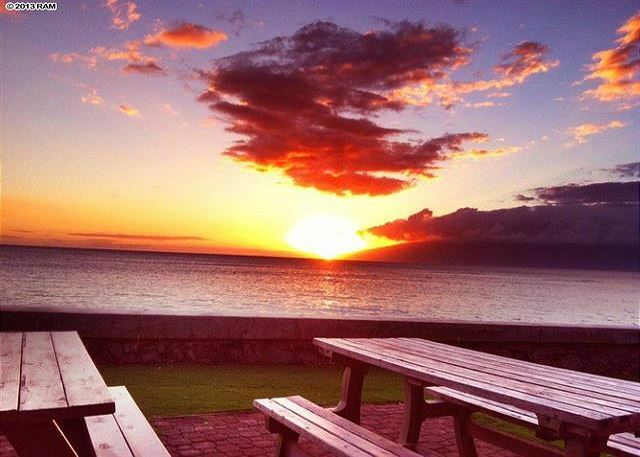 Walking distance to smaller beaches and beach park, short drive to West Maui's best beaches. Lower level unit was great for the baby to run in and out, but the upstairs neighbor was pretty loud at night. Baby was asleep, but it kept my husband and me awake. 3/5 stars Review by Shannon M.
Overall I give a 3 to this unit. Mgmt was excellent - however, the owners need to spend some time updating thier unit. Needs sunshade on patio as mid-day/afternoon sun beats into unit and there is no AC in the living rm. Spend too much time in bedroom to stay cool. No cable box in bdrm - so no TV. Unit is simply very basic - doable but much better units with amenities and frills in complex for less money. Very nice place for comfortable vacation in Maui! We (3 adults) stayed at this condo for 10 days and very much enjoyed it. The place is clean and well equipped with all the essentials. The manager was easy to get in touch with and very responsive. We had a minor problem with plumbing which was taken care of right away. Beautiful grounds and nice pool and a lovely spot nearby on a property to watch a sunset. Very good location - close to stores, restaurants, best beaches on an island. Would definitely recommend it either for couples or family. 5/5 stars Review by Tyler S.
I stayed at Pohailani 152 with my parents and girlfriend. This condo is clean, has all the nessesities, and gives a great island feel. I noticed a lot of high density type living areas along the waters edge. This condo is very spacious and opens up to a great open area out the patio door. The BBQs were great and one is right on the oceans edge. Nothing but good things to say about this unit. 4/5 stars Review by Bryan G.
Just a couple of issues, the glass lanai door was so hard to open and close so locking it was next to impossible. The seal on the toilet connected to the floor had a slow leak. Issues that I'm sure will be rectified soon. The unit is very pretty and clean, well stocked with dishes & cooking necessities.The beds are so comfortable. 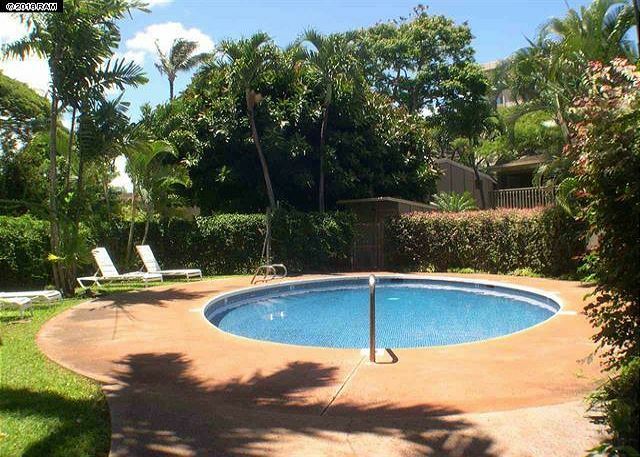 Location great, lovely grounds and well maintained pools. Would definitely stay here again and would recommend this unit. 5/5 stars Review by Christina S.
Our family truly enjoyed our stay @ 152. The beds were so comfortable and we had all the amenities that we needed for our stay. I do wish that there was more insulation in between the top and bottom floor, we always knew when the neighbors were moving around. 5/5 stars Review by Jerome M.
Overall we had a great experience. The condo fit our family of 4 very well. We loved eating meals on the lanai, and it was nice to have access to beach supplies. I wish the kitchen was better stocked with more pots and pans, but besides that we had no complaints. 5/5 stars Review by Aliya P.
This place is very clean n quite for vacation getaway. It has everything for you to use n more.I have family of 4. It was just perfect for us. Most likely would recommended to my family. We so enjoyed your condo. It had everything we needed. The garden surroundings were beautiful and peaceful. The condo was clean and very comfortable. We would definitely stay here again. 5/5 stars Review by Martin R.
Great location, great time for the family! I loved this condo! The air conditioning worked great in both bedrooms. There were plenty of beach items in the outside storage area. Very clean and nice. I felt at home. Easy to Relax and Great Location! 5/5 stars Review by Arla P.
We loved this rental for a family of 4 (2 teenagers). A good night's sleep was easy to have in the comfortable beds and air conditioning in each room. The condo was stocked with required supplies to make it through a couple of days without shopping. Ground level makes it much easier to BBQ and load toys for beach days (new toys required). Property manager was easy to deal with and very prompt with the minor details. (We required light bulb in kitchen and battery for remote for bedroom tv). Big Beach towels were available for all of us and a dryer sure makes it nice to have ready for the next day. Kitchen was well equipped but had little gnats everywhere. All food was stored in the fridge so we wouldn't attract more. Ice maker was a definite plus and big table for 6 on the lanai was our favorite! I'd recommend this property if you plan on spending your days away at the beach and comfortable evenings with cocktail, quick dip in the pool and great sleep! 3/5 stars Review by Pauline L.
The condo has a lot of potential. The updated kitchen is nice... the bedrooms and bathroom are fine and non-descript. We stayed here with 4 adults and 1 baby and while it was a little cramped in the common area, we weren't home very much at the same time. Our biggest gripe was the cleanliness of the condo: there was an abundance of ants and bugs all over the condo. There was a steady trail of ants in the first bedroom along the door ledge, little white spiders crawling over the kitchen counters/oven top, ants on the kitchen counter and fruit fly-like bugs everywhere. We would squish/clean then up daily and they would just reappear. At some point we just learned to live with them. The front door also has a large crack on the bottom and top so we saw many small roaches and a lizard crawl in on the bottom.I would also recommend that the cleaning company vacuum and wet-clean the floor. I understand sand will always be around b/c you are in Hawaii, but there were puddles of sand in the doorway of the first bedroom and kitchen the first time we entered the apartment. As I cleaned up the sand with a wet paper towel, I noticed the paper towel came back black. I basically spent the next 30 minutes wiping the entire condo with paper towels and cleaner before we unpacked our belongings. The floor was filthy. I understand not everyone takes off their shoes in their home, but we did.Location is great though, as we prefer to stay at Pohailani resort. Nice to have a washer/dryer. 5/5 stars Review by Kendra M.
Wonderful. Would recommend this to all!! We will use this company again when we returb!! 5/5 stars Review by Raven B. This was our second time staying in a Pohailani Maui condo, but the first time in this unit. We enjoy staying at Pohailani because of it's great location, it is very quiet and the units are very comfortable. 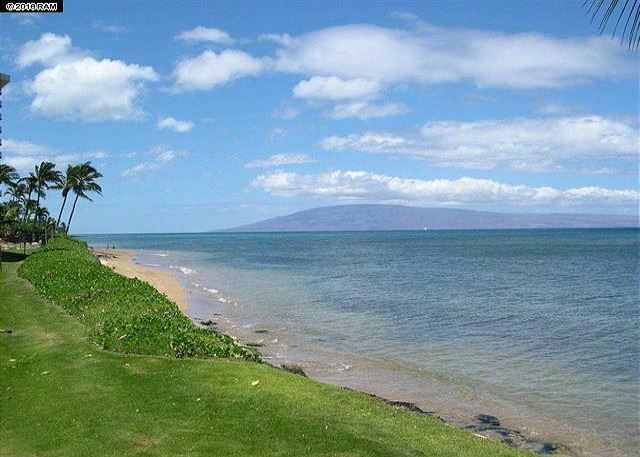 Pohailani is close to amazing beaches such as Napili, Kapulua & Kaanapali. This unit has been tastefully updated, has a dishwasher and washer/dryer. We stayed for 12 nights, and I have to say the king size bed in the master was so comfortable. I had amazing sleeps!I would definitely stay in this unit again, and look forward to returning to Maui. Ground floor condo across the road from a sea wall, beach is a 5 mins walk. McD's and Maui Brewing Co. 2 mins walk. Easy to book, property manager very professional and friendly and sorted our 2 problems out quickly (screen door to balcony was ripped/no beach towels in condo). Master bedroom very comfy with huge bed and wall mounted TV, 2nd bedroom had old creaky child sized beds that need replacing as they are too small for an adult. Spa bath didn't work, neither did half the bathroom lights. Ants in bath/kitchen and had to remove 2 roaches during our stay from lounge/kitchen. Kitchen well equipped but the dishwasher was rusty so we hand washed everything. Washer/dryer in bathroom which is great for drying beach towels for next day. One numbered parking space for condo.The people upstairs were very noisy. Either had a rollerskating rink up there or were practicing for furniture removals marathon!Definitely budget, but if that is what you want and are aware of it then this is an OK choice. 5/5 stars Review by Patti B.
two friends and I recently stayed at Pohailani 152 and we had a comfortable, restful, enjoyable time. The condo was clean and generally well stocked although some things that were there the last time I stayed are no longer there. I hope the management will replace the hair dryer, iron, wine bottle opener and bath mat. 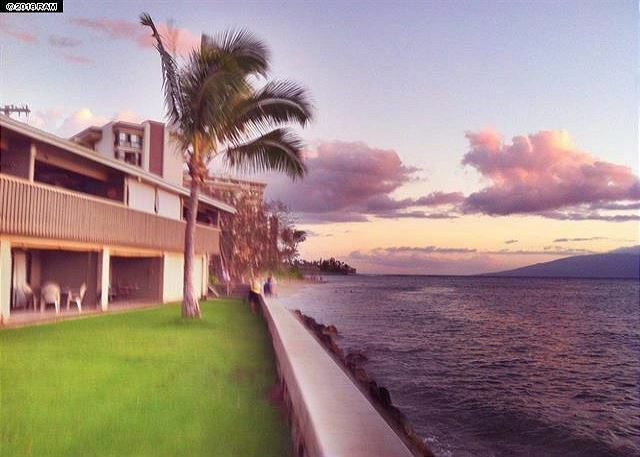 The location was perfect for seeing all the communities and beaches along the West Side and of course, Lahaina. We had some clouds and rain but that's winter in Hawaii and the management has no control over the weather. We recommend the Old Lahaina Luau, Haleakala Crater and the drive to Hana. The cupboard on the lanai was full of boogie boards, snorkel eqpt, beach chairs and sand toys. That was a great addition to the amenities Thank you for a wonderful stay!